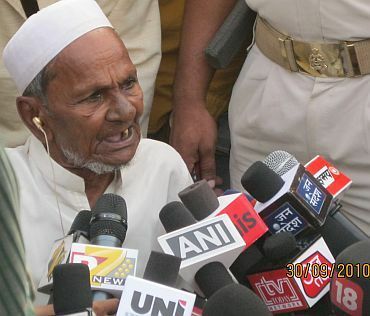 Hashim Ansari, the oldest litigant in the Ayodhya dispute, has finally given up hope for an out-of-court settlement on the issue. 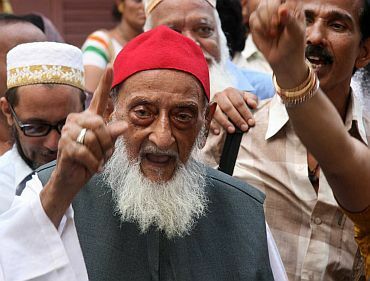 Ninety-year-old Ansari, who initiated moves for a final settlement on the vexed issue through negotiations, was compelled to take the decision following much opposition from various interested parties. With nearly all other parties having already appealed against an order of the Allahabad high court, Ansari too proposes to follow course and file a special leave petition before the Apex court on Monday. After 21 years of hearing in the high court, the final verdict was passed on September 30 last by a three-judge special bench, comprising Justices SU Khan, Sudhir Agrawal and Dharam Veer Sharma. The majority order of the court, which divided the disputed land (measuring 90 ft x 120 ft) into three parts -- two shares for the proposed temple and one to the mosque -- has also suggested re-adjustment of land to the parties out of the surplus 67 acres of adjoining land, acquired by the Union government. However, far from pacifying the contestants, one by one they moved the Supreme Court. Ansari was only one to have refrained from filing an appeal against the high court order because he sincerely believed that his efforts towards an out-of-court settlement would bear fruit. However, he failed to prevent another round of court battle, which has been on for a total of 125 years. Therefore, left with little choice, he too decided to move the apex court. "I left no stone unturned to bring an end to the long drawn court battle after the high court gave its verdict in September last; I hoped and prayed that the other parties would agree with me and I would be able to see this chapter closing in my lifetime. But sadly that does not seem to be destined to happen. Therefore, I have signed the necessary documents for making an appeal to the Supreme Court," Ansari told rediff.com over telephone from Ayodhya. His lawyer Zafaryab Jilani, who was the first one to move the apex court on behalf of the Sunni Central Waqf Board that was also represented by him, said here: "Hashim Ansari has at long last sworn an affidavit to appeal against the high court verdict." According to Jilani, "The affidavit is more or less on the same lines as the one filed by me on behalf of the Sunni Central Waqf Board wherein we have challenged the high court order, which tends to overstep its jurisdiction beyond legal limits." He said, "Far from answering the vital question of the title over the disputed land, the high court chose to turn into a self-appointed arbitrator." 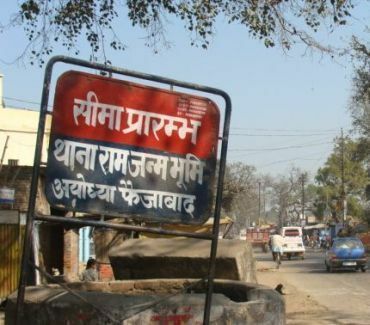 Another key issue before the court was to determine whether an ancient Ram temple stood on the disputed 2.77 acre Ayodhya land before Mughal emperor Babur got it razed to erect the Babri Mosque in the 16th century. 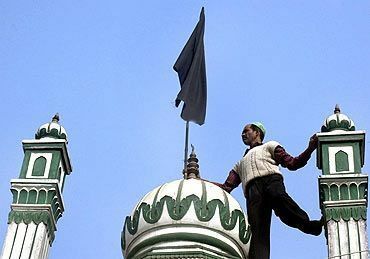 The demolition of the mosque by violent Hindu mobs on December 6, 1992 had triggered large-scale nationwide communal frenzy.